Real Madrid have been on the receiving end of three defeats at the hands of Barcelona in their four El Clasico meetings over the course of the 2018/19 campaign. Both Julen Lopetegui and Santiago Solari paid the price for losing to Los Blancos’ bitter rivals, prompting the return of Zinedine Zidane to the dugout, becoming Madrid’s third permanent manager of the season. The Frenchman’s exit at the end of last term resulted in a downturn of form in La Liga and the Champions League. Los Blancos had won the Champions League three times on the bounce, including their 3-1 triumph over Liverpool last year. The club were competitive with Barcelona at the top of the table under Zidane, winning Primera Division in the 2016/17 campaign. However, Zidane believed that the time was right to leave the Bernabeu after a historic run in Europe’s elite competition. Cristiano Ronaldo opted to end his tenure in Spain after 10 seasons, moving for €100m to Juventus. The brilliance of the Portuguese won matches single-handed for Madrid and his appetite for the big occasion saw him thrive in the Champions League. In his absence, Los Blancos have struggled to fill the void. 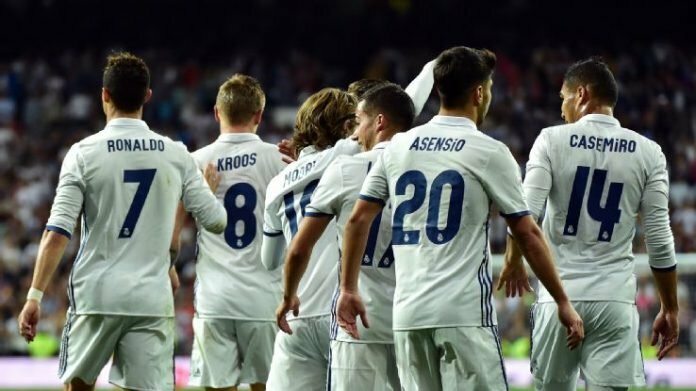 At the time of writing they’ve scored 48 goals in La Liga after 28 matches compared with Barcelona’s 73 at the top of the table. The Catalan club sit 12 points clear of their rivals and their dominance was highlighted by Oddschecker who overwhelmingly backed Barca to claim victory in their clash at the Bernabeu, which Ernesto Valverde’s men duly delivered by a 1-0 scoreline as Ivan Rakitic scored the decisive goal. Madrid are enduring a period of transition. Many of their key players are reaching the end of their careers at the top of the game. It will be up to Zidane and the club’s hierarchy to ensure that they move swiftly to replace their ageing stars to ensure that Los Blancos remain one of the dominant forces in the sport. Mbappe has the star power that Madrid crave in the final third. The 20-year-old has lit up Ligue 1 during his time with AS Monaco and Paris Saint-Germain. In both of his seasons as a full-time starter he has won the domestic title with the two clubs, while the forward was also a key cog in France’s triumph in the 2018 World Cup. Mbappe is the next great player in the mould of Ronaldo, displaying terrifying pace and skill along with the ability to finish. He has taken the next step in his development this term after playing second fiddle in terms of goalscoring behind Neymar and Edinson Cavani. It has been the Frenchman that has been the driving force behind PSG’s surge for the Ligue 1 crown, scoring 26 goals in just 23 appearances. Mbappe was not able to get Thomas Tuchel’s men over their Champions League hump this term. PSG crashed out of the competition at the hands of Manchester United in a remarkable turnaround at the Parc des Princes. Failures in Europe have become common place for the French champions, which could prompt Mbappe to seek glory in the elite tournament elsewhere. Given the ease in which PSG have won the title for the past two seasons, the 20-year-old could be inclined to seek a move to Los Blancos, although he will not come cheap. Mbappe has a reported price tag of €240m due to his current standing in the game and the potential to become the leading figure in the sport. Madrid are in dire need of a central figure in the final third as Gareth Bale and Karim Benzema have both struggled to bear the burden. Mbappe could form a frightening partnership with Vinicius Junior, which could dominate football at the highest level for the next decade. He should be Zidane’s primary target as he seeks to rebuild Los Blancos. Madrid have had issues at the back this term, conceding cheap goals. Sergio Ramos paid the price for his decision to intentionally receive a booking in the first leg of his side’s Champions League clash against Ajax, missing the second leg where his team-mates collapsed at the Bernabeu against the Dutch outfit. Ramos has been Madrid’s foundation for their success in the Champions League, although at the age of 33, his powers are on the wane. Raphael Varane was a defender on the rise, and although he successfully anchored France’s run to World Cup glory last summer, he has not become the dominant force in the middle of the line yet. The depth behind the two starters is not the best other than utility man Nacho Fernandez. Jesus Vallejo has struggled in limited action, while Javi Sanchez has not been trusted to impose himself. Madrid could be on the lookout for a new defender to build their rearguard around. Madrid were prudent in the transfer market last summer by their standards. Their net spend reached €47m after the sale of Ronaldo. A move for Kalidou Koulibaly would put them in direct competition with Manchester United and it could result in a bidding war between the two powerhouses. However, Koulibaly is worth the effort given his brilliance at the heart of the Napoli defence for the past four seasons. He is dominant on the ground, displaying pace and power to cover ground and win challenges. Koulibaly has the physical presence to disturb even the most potent of forwards in the final third. The Senegalese’s awareness and reading of the game puts him one step ahead of his opponents. Madrid need significant moves to readdress the balance in La Liga. Signing arguably the best defender in the world would be a step in the right direction. Christian Eriksen is being lined up for a summer move to Real Madrid, according to the papers. Madrid have enjoyed one of the finest midfield combinations in the world for the past five years. Toni Kroos and Luka Modric have allowed Los Blancos to dictate matches on their own terms, using their precision accuracy to manoevure the ball downfield towards their strikeforce in and around the penalty area. Modric has been outstanding since his move from Tottenham in 2012, becoming one of the leading midfielders in the world. The 33-year-old has been an key part of Madrid’s success in the Champions League, rising to the occasion at the biggest moments. Modric carried that form into the World Cup where he dragged Croatia back into the contest against England in the semi-finals, pulling Gareth Southgate’s men apart with the accuracy of his passing. However, he has not been the dominant force of seasons past for Madrid this term. Like many players across the world, he may be feeling the effects of a campaign extended by the World Cup. It remains to be seen whether he will be able to rediscover his peak form. At the start of next season he will be 34, suggesting that his days at the very top could be over. Madrid may need to look for his successor in the summer as there is not a clear replacement in their squad. Marco Asensio has had issues with his consistency, while Federico Valverde and Brahim Diaz are too young to assume the mantle. Given that Los Blancos have had great success in the past raiding Tottenham for players – Modric and Bale – it would make sense for them to target another. Eriksen fits the bill to be the replacement for Modric at the Bernabeu. He can dictate matches in the same manner, keeping the ball on a string at pivotal moments. The Dane can cut open opposing defences with ease with the precision of his passing, which has delighted Harry Kane for the past four years. Eriksen offers more of a goal threat himself in the final third, reaching double figures in four of his six terms with Spurs. A move for the Dane would set the tone for a new era at the Bernabeu, which Zidane needs to begin to orchestrate this summer.